LADDERS (DIY or BUY CHEAP) Best Must Have! 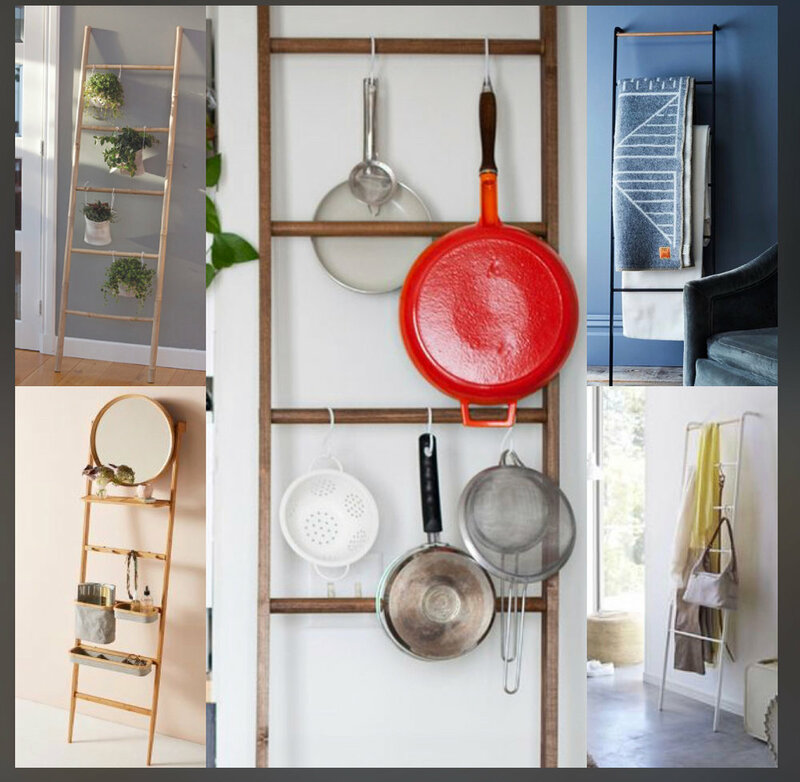 Use S hooks in the kitchen for pots, living room blankets, hallway plants and baskets, bedroom for purses and pants, or bedroom vanity when you add a mirror on or to the wall. It’s the modern hat tree. A great accent and you will get lots of use!